When it was announced Wednesday afternoon that Warriors center Jordan Bell would be suspended by the team for one game for “conduct detrimental to the team,” the safe bet was a missed meeting or chronic tardiness, nothing very spicy or interesting. There’s a whole range of relatively mundane workplace transgressions that cross all fields and get lumped under “professionalism,” and for the most part they pass unreported and unremarked upon, because they are boring. Brown was alerted to the charge. He inquired about it. The staff at The Peabody hotel, where the team stayed, confirmed its purchase. So the Warriors launched a quick investigation and it became clear that Bell is the one who put it on Brown’s bill. There was concern, sources say, that this wasn’t the first time Bell has pulled this maneuver on some unknowing member of the organization. The report leaves open the possibility that the whole thing might’ve been a prank, which would make Golden State’s decision to suspend him for a game—which involves his salary for the game going unpaid, and requires an announcement—seem a little excessive, if it’s an isolated incident. Maybe Bell’s a serial fraudster? Maybe the hotel bill prank was the last straw in a long line of irritating incidents? Maybe what he charged was a thousand dollars worth of Memphis barbecue? At any rate, we at Deadspin have put our heads together and determined that the right Warriors employee to prank in this way is Klay Thompson, and the right purchase to slide onto his hotel bill is weed and weed paraphernalia. No way he’s ever catching it. 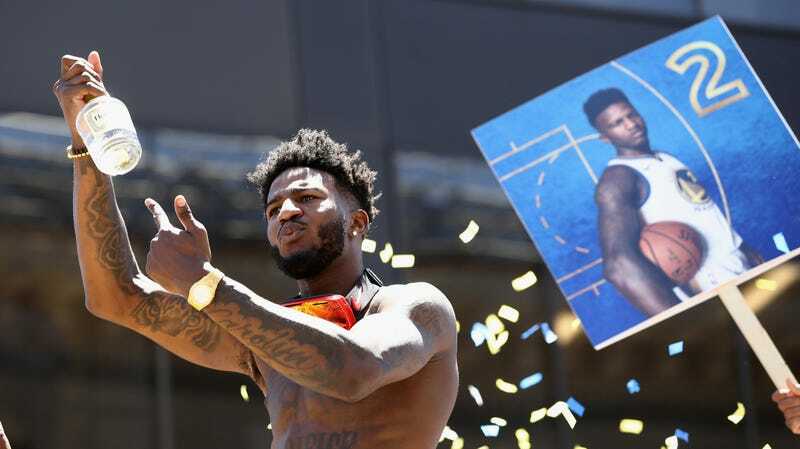 If you know anything about what Jordan Bell purchased on Mike Brown’s credit card, or anything else about this suspension, email us at tips@deadspin.com.